Construction Plumbing is a crucial part of the construction process not matter wether your are building your home or embark in a commercial project. Plumbing is essential to the functionality and longevity of the property, which is why it is vital that you use experienced professionals like Lightfoot Plumbing for the job. You need quality plumbers you can trust, with the right knowledge and equipment to perform the job to the highest standards. At Lightfoot Plumbing, we are experts at what we do. 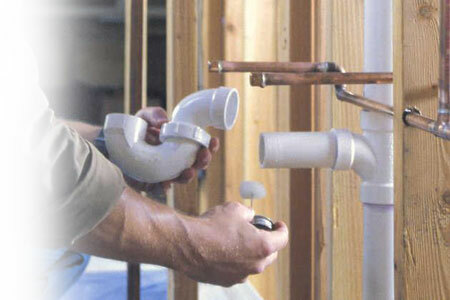 We have over 33 years of experience in the plumbing business and are well known in Weatherford TX. We take great care when undertaking construction plumbing services and installations, as we know that your new plumbing system will need to work for many years to come. We ensure that all state, federal, and local building codes are met so you won’t have to worry about the details. If you want to know whether or not we can help you with your new construction project, simply get in touch! Our friendly customer service representatives are more than happy to speak to you and discuss any new construction projects. We will answer any questions you may have and provide you with the information you need. No matter what project you are working on, it’s always best to consult an experienced plumbing professional. The plumbing is such an essential part of any building – you won’t want to leave the job to an unlicensed amateur. It’s critical that you always follow commercial building codes and LEED requirements, so you don’t end up with any problems down the line. When you start building a new property, there are various different plumbing options you can choose from. There are so many ways you can install the plumbing in your new home or commercial property that it can get a little overwhelming. At Lightfoot Plumbing, we can offer our expert advice and services to ensure that you New Construction Project goes smoothly. We can help guide you through every step from the initial planning stages, right through to installing the final faucets and fixtures. As professional plumbers with years of experience, we know exactly how to complete the job to suit your needs, while ensuring that all the necessary building codes are met. We can help you choose the right layout to work with your plans, so you won’t have to worry about any potential conflicts coming up during construction stages. We can even help you to find the best plumbing fixtures to suit your design ambitions, offering the highest quality along with the right aesthetics. We strive to achieve your vision, while taking into account important factors such as your budget and building codes. Lightfoot Plumbing has been providing professional plumbing services since 1983. We only work with fully licensed and qualified plumbers, and each and every one undergoes the necessary training to complete their job to the highest of standards. We are proud to provide a fast and efficient service that is done right the first time. If you require expert plumbing advice, services, and installations for your New Construction Plumbing Project, then give the professionals a call. We are available 24/7 to answer any of your queries. Simply get in touch and we can discuss your project with your in greater detail, so you can find out more about how we can help you.